Houghton Mifflin Harcourt, 9780151010639, 768pp. 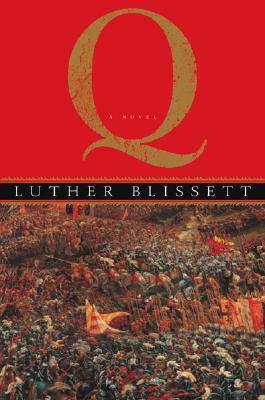 1517 Martin Luther nails his ninety-five theses to the door of Wittenburg Cathedral, and a dance of death begins between a radical Anabaptist with many names and a loyal papal spy, known mysteriously as "Q." In this brilliantly conceived literary thriller set in the chaos of the Reformation-an age devastated by wars of religion-a young theology student adopts the cause of heretics and the disinherited and finds himself pursued by a relentless papal informer and heretic-hunter. What begins as a personal struggle to reveal each others' identities becomes a mission that can only end in death.